The newly developed range of BMP axial piston pumps are an excellent choice whenever you need a reliable and compact pump for medium and high pressure. 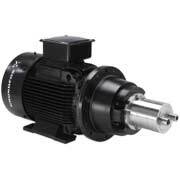 The pump range features low energy consumption, corrosion resistant material and low pulsation. Furthermore the pumps require minimal service and at the same time the BMP is the most compact pump on the market, giving systems builders a free hand to design more compact systems.